The TOMODACHI Social Innovation in Seattle (SIIS) Scholars program is an investment in the next of Japanese social entrepreneurs and community leaders (ages 18-25) who are prepared to make a positive difference in Japan, the United States, and around the world. Scholars are selected from a highly competitive, nationwide pool of applicants, with a special emphasis on the Tohoku region to participate in a five week experiential leadership training in Seattle, Washington. At the core of the program, scholars work on a team project with prominent businesses, and receive business mentoring from recognized Japanese American leaders in the Seattle Community. Scholars also take classes in leadership and entrepreneurship, conduct site visits to social businesses and organizations, and live in an American homestay. TOMODACHI Social Innovation in Seattle Scholars (SIIS) Program 2015 took Japanese university students and young professionals from across Japan to Seattle, Washington for an innovative five-week leadership development program from February 23 – March 28, 2015. In its second year of the program, 25 social entrepreneurs and community leaders will participate in an experiential leadership training program. The TOMODACHI Social Innovation in Seattle Scholars (SIIS) Program brought 24 talented Japanese university students and young professionals from across Japan to Seattle, Washington for an innovative four-week leadership development program in March 2014. 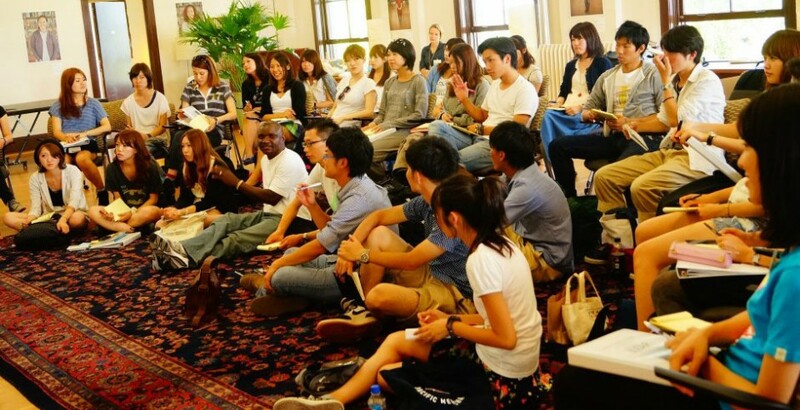 The goals of the program are to help develop a deeper connection to American culture (especially Japanese American culture), significantly improve their English, gain practical experience in social enterprise and innovation, and grow their leadership capacities. Participants took seminars from experts in the field, visited local social businesses lived with a local family in a homestay, and completed a Group Project under the guidance of a Team Mentor and in collaboration with a Community Partner Business or Organization. A special emphasis in this program will be on Japanese American entrepreneurs and how Japanese-American history and culture has shaped their lives. Participants attended a reception hosted by the Japanese Consulate General of Seattle that included 50+ local community/business leaders in attendance. Throughout the program, participants lived with local host families, giving them to experience American family life, culture and explore the Seattle community. The projects undertaken by the scholar groups were designated by the partner organization. The Group Project provided students with a real-world challenge in leadership and social innovation. They had to apply what they learned from the program and their projects made concrete contributions to the work of community-based organizations and social businesses in Seattle.